When you engage in the sort of archaeology that puts you up against nazis, evil henchmen, and heart-snatching sorcerers, you need more than just a pickaxe and a magnifying glass in your toolkit. Indiana Jones always understood this... and he knew that a reliable sidearm is the perfect complement to a bull whip... because you just never know when you'll be up against a sword-wielding martial artist who could easily beat you! That's why you shouldn't set out on your quest for the Ark of the Covenant without this trusty Indy Accessory Kit! It's got everything you need to be sure you're properly armed... and that you look the part, too. 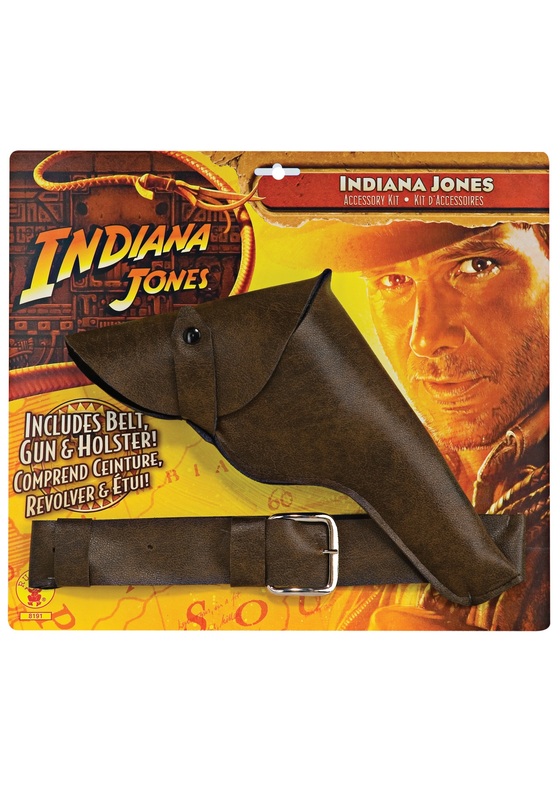 It includes not only a toy gun, but also a holster and a belt (because real adventurers don't just stick guns in their pants -- that can be dangerous!) The best part of these accessories is that they have that rich brown leather look, which is such an integral part of Dr. Jones's style! Just don't forget that signature fedora (we sell those, too! ), and with the Indy Accessory Kit, you're ready for adventure!